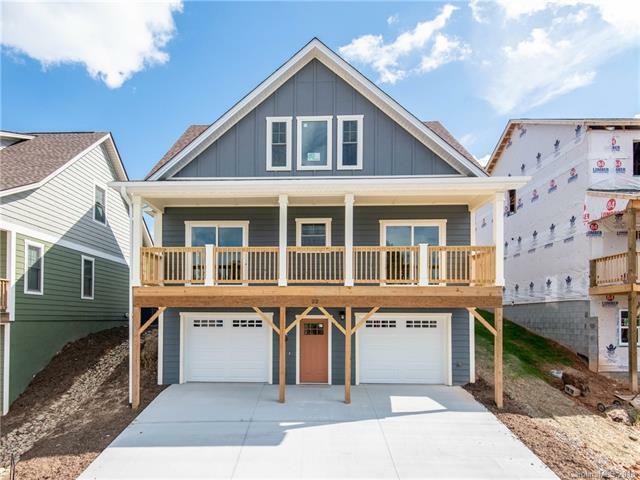 Welcome To North Asheville's Newest Development, Greenwood Fields! Move-In Ready, New Construction Home Built By One Of The Area's Finest Builders! This Thoughtful Design, Open Living Concept Provides 3 Bedrooms & 2.5 Baths. Main Level Has Beautiful Master Bedroom With Double Sinks & Gorgeous Tiled Walk-In Shower With Glass Surround. Hardwood Floors, Granite Countertops & Natural Gas Oven/Range/Fireplace Are Only A Few Of The Features For This Home. 2 Car Garage In Basement Provides Plenty Of Dry Storage Space. Only Minutes Away From Asheville Or Weaverville. It Wont Last Long, Make This Home Yours Today!